No more chilly surprises on winter mornings - your Royalet Heated Seat will always have a warm welcome for you! Enjoy the ultimate in comfort and luxury. 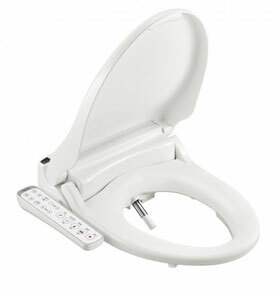 Enjoy the comfort and luxury of sitting on a warmed toilet seat. There’ll be no more cold surprises on winter mornings - your Royalet will always have a warm welcome for you. The seat is formulated from Anti-Microbial materials for germ resistance. Personalise your comfort. Temperature Settings for the Royalet Heated seat can be adjusted between Low, High and Off.